I am the Queen of Allergies and I often mention in my posts the importance of patch testing a new product. Even if you have chosen a natural product there is still a possibility of an allergic reaction. I thought it may be helpful to provide a guide to patch testing at home. The best place to test a product is on your inner forearm or wrist. Firstly, make sure the area of skin you are testing is clean and dry. 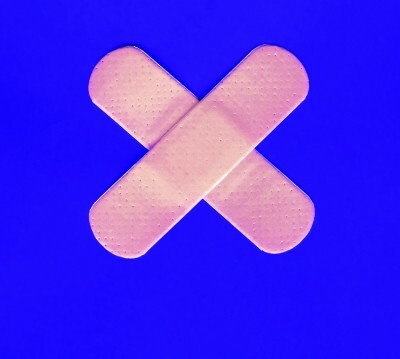 Put a small amount of the product onto a band-aid and affix it to your skin. Use hypo-allergenic band-aids as some people (including me) are allergic to the adhesive. Leave the band-aid in place for 24 hours and avoid getting the band-aid wet during this time. When 24 hours has past remove the band-aid and check for signs of a reaction e.g. redness, itching, blisters, rash. If you patch test several products and get reactions it may be an idea to compare ingredients so you can figure out what you are allergic to. I seem to be allergic to the world too. Just read some really good stuff on BetterMedicine.com though that I think is going to help me eliminate some of my allergens in my home. Good luck to you and all of your readers who suffer from allergies.